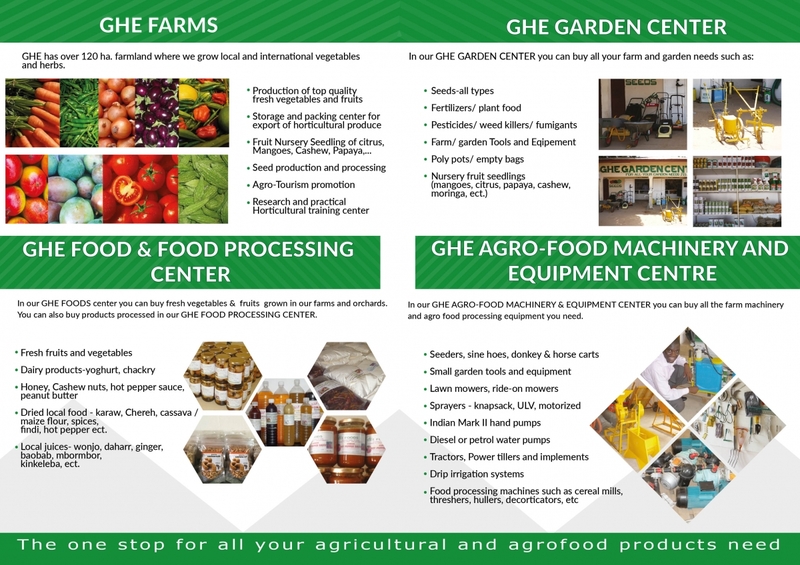 Gambia Horticultural Enterprises (GHE) is a multi-purpose agri-business company engaged in the whole horticultural value chain. 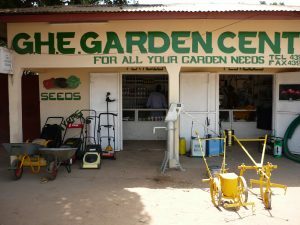 It is a family business established with the overall goal of commercializing the horticultural sub sector in The Gambia. 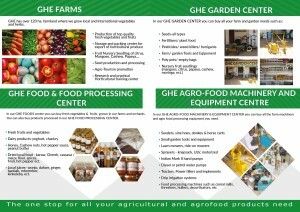 It comprises of six major centres namely, GHE Garden Centre (Deal in seeds, fertilizer, pesticides, garden tools and equipment), GHE Foods (Sells fresh vegetables and fruits, processed agro-foods and drinks), GHE Agro-Food Machinery and Equipment Centre (Sells Farm Machinery and equipment, Agro-Food Processing Machinery and Equipment), GHE Farms (Produces fresh vegetables, fruits, nuts, seeds and honey), GHE Agro-Food Processing Centre (Manufactures agro-foods and drinks) and GHE Pest Control, Landscape Gardening and other Services. GHE has over 25 years’ experience in growing and export marketing of fresh horticultural produce especially mangoes to Europe. The GHE Proprietor and MD is one of the pioneers of the fresh vegetables and fruits export from The Gambia to Europe especially UK when he was General Manager, Citroproducts (Gambia) Limited. 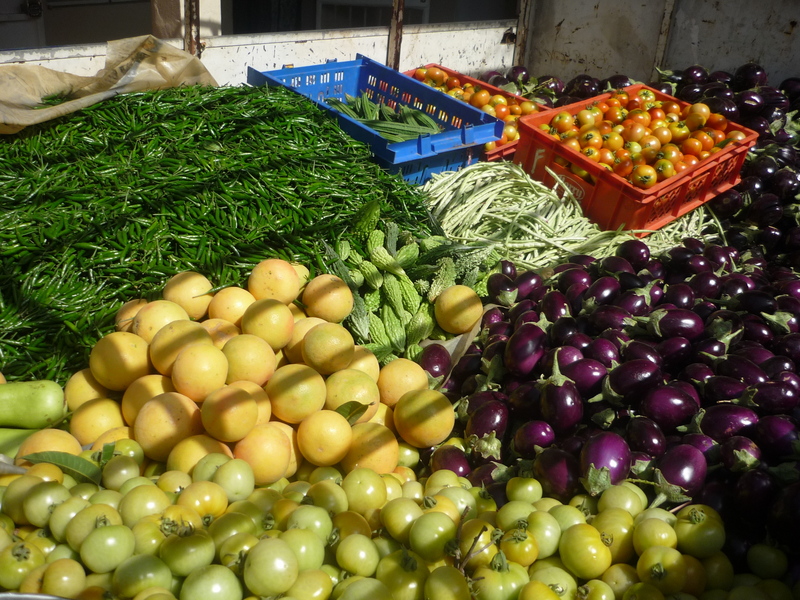 Also a founding member of the Association of Gambian Horticultural Producers and Exporters (GAMHOPE) he is currently the President of the Association. 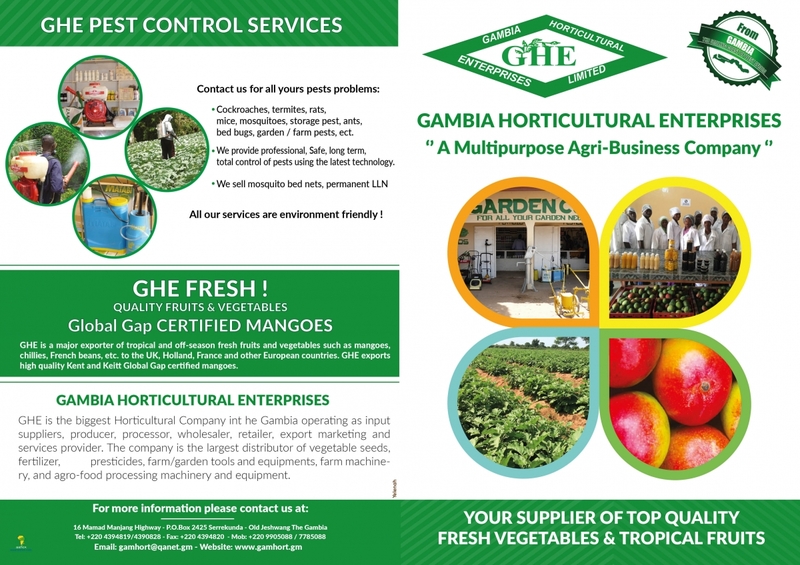 GHE is now the biggest Horticultural Company in The Gambia operating as Input Supplier, Producer, Processor, Wholesaler, Retailer, Export Marketing and Services Provider. 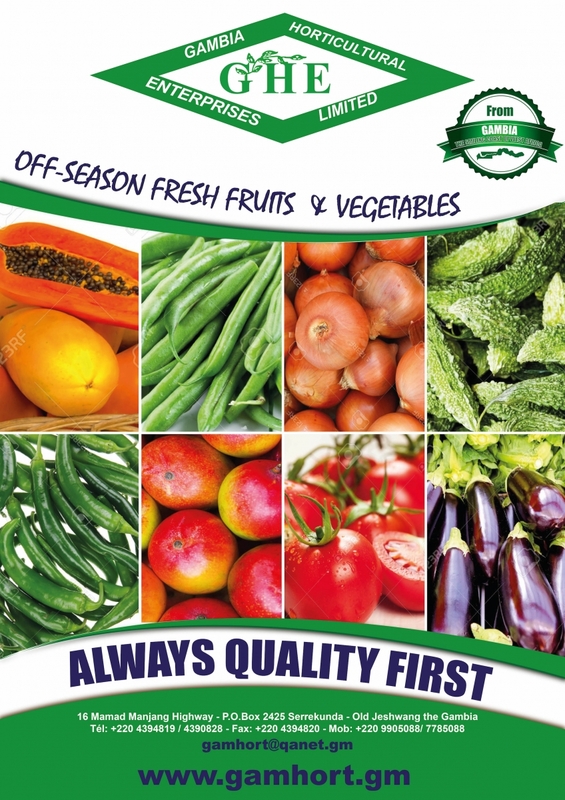 The Company is the largest distributor of vegetable seeds, fertilizer, pesticides, farm/garden tools and equipment, farm machinery and agro-food processing machinery and equipment. As one of the key players in cashew production and processing, the Proprietor is also the President of the Cashew Alliance of The Gambia (CAG). 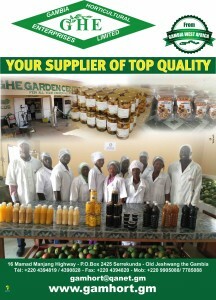 GHE investment and business model is to establish a viable horticultural business in the vegetables, fruits and nuts value chain to enhance profitability, growth and competitiveness as well as the rapid development of the sector in the Gambia through collaboration with out-growers, farmers, processors, Government, Donors, research institutions, universities, Small and Medium Enterprises (SMEs) and the private sector. To establish a viable Agri-business Company that will enhance profitability, growth, competitiveness and sustainable development through collaboration with all stakeholders in the Agricultural Sector. 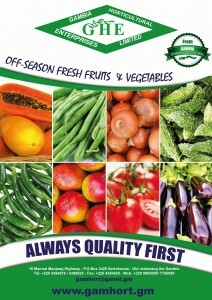 To be the leading agri-business company in West Africa through innovative models of the entire agricultural value chain. Investing in Agriculture, Improving Lives. 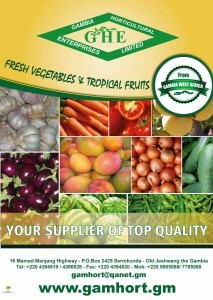 Read more about the Products offered by Gambia Horticultural Enterprises. 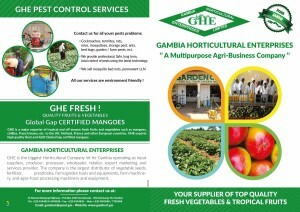 Read more about the Services offered by Gambia Horticultural Enterprises.